You know how I love a good cook-off. Well, the Pillsbury Bake-Off is the grand-daddy of them all! One hundred home cooks from all over the country will be descending on Nashville, Tennessee on November 3 to compete in the 47th Pillsbury Bake-Off for a whopping one million dollars! That’s a lot of dough. But there is good news and bad news. The good news: I’m a finalist! 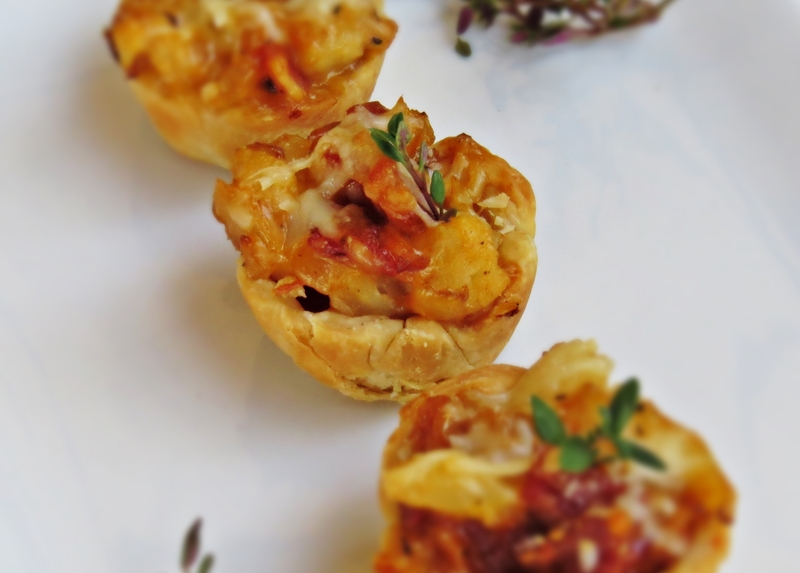 I’ll be one of the 100 participants in Nashville vying for the big bucks with my recipe Cheesy Cauliflower Tartlets in the Savory Snacks and Sides category. The bad news: This will be my final opportunity to dance with the Doughboy. My final chance to win the big prize. You see, Pillsbury has a rule that allows an individual to compete in the Bake-Off up to three (3) times. Once you’ve been a finalist 3 times, that’s it! So . . . after Nashville you can put a fork in me–I’m done! But it’s not all bad. It’s really more sad than bad. The real prize when it comes to the Pillsbury Bake-Off is the travel and meeting and getting to know other home cooks with the same passion. Just being able to say that you’ve been a competitor in the Pillsbury Bake-Off is a real feather in your toque. And there’s all the media attention (local newspapers, television, etc. )–you could end up a celebrity of sorts in your hometown! 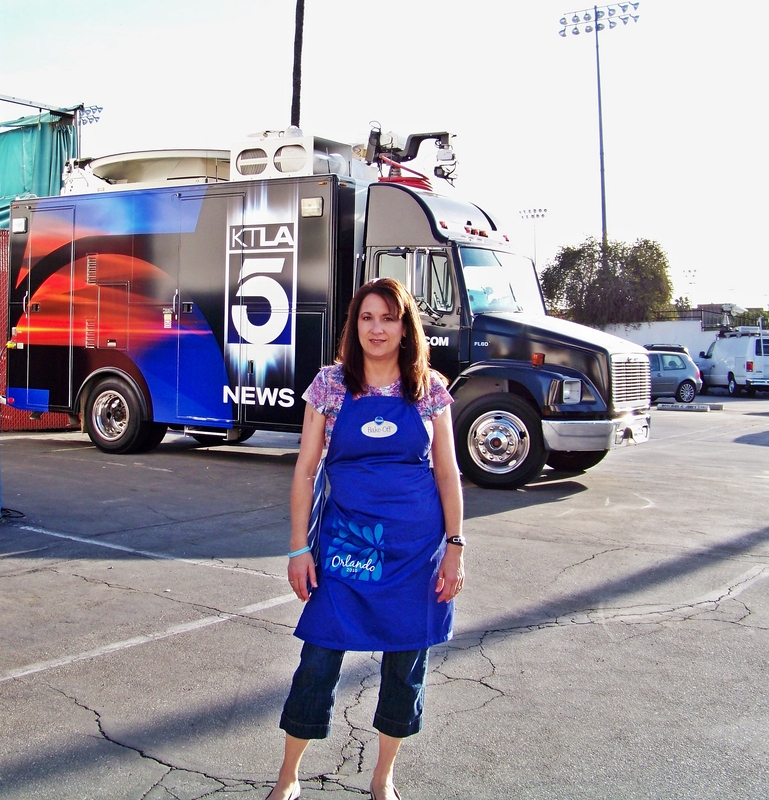 My media center is Los Angeles/Hollywood, so I got a super bonus when I did a demo for the Bake-Off at KTLA in 2010. 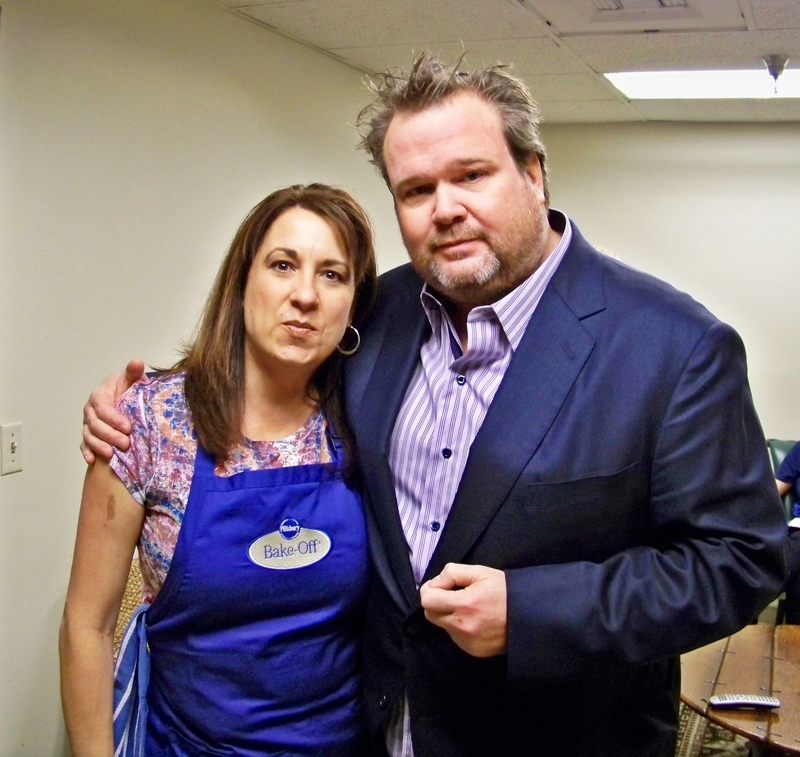 Eric Stonestreet (Cam from Modern Family) was also making an appearance on the show in the Entertainment segment, so I got to spend some time with him in the green room. Turns out he’s a Pillsbury fan, too! What a bonus! Cam from Modern Family. 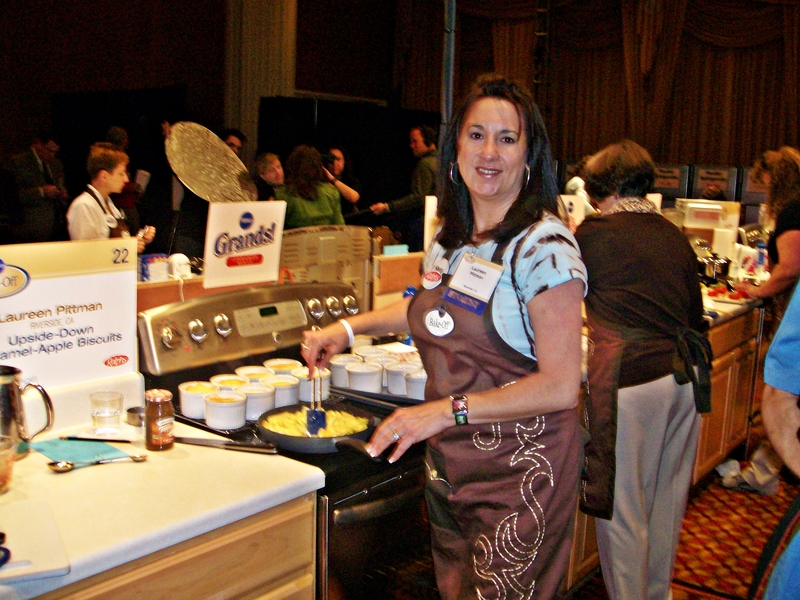 The first time for me was at the 43rd Pillsbury Bake-Off in 2008 with my recipe, Upside Down Caramel Apple Biscuits. The competition was held in Dallas, Texas. 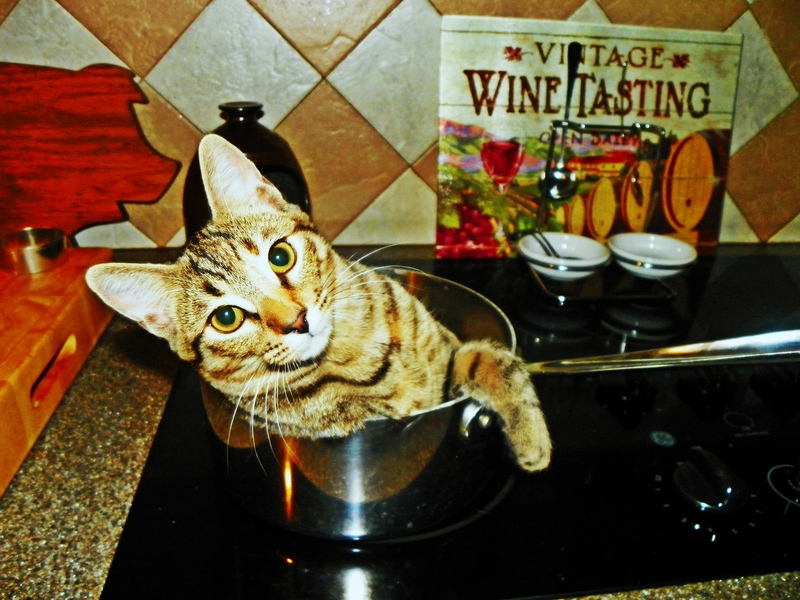 I was fairly new at the competitive cooking game. I’m sure I walked around in a daze–it was so awesome to walk into the Bake-Off “arena” and see 100 cooking stations, each complete with a full-sized stove and everything you need to make your recipe. 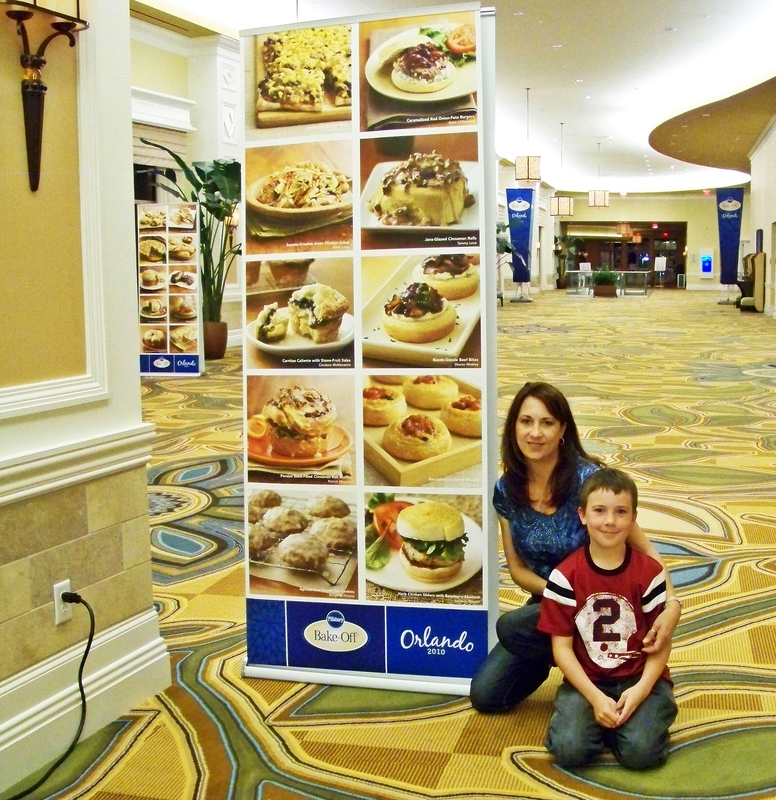 I was apparently on a roll with the Doughboy because I was also chosen as a finalist to compete in the 44th Pillsbury Bake-Off in 2010 in Orlando, Florida, with my recipe Herb Chicken Sliders with Raspberry Mustard. I think I was a little more relaxed this time. The whole family went to cheer me on. I met some great new friends and we even extended our stay to take in all that Orlando has to offer. 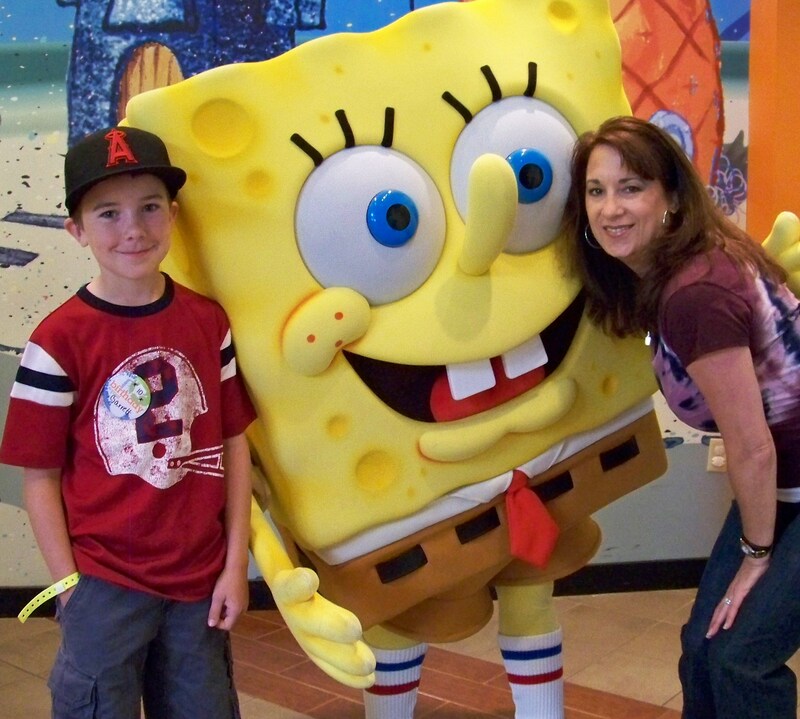 Garrett loved it–although I think he especially loved our stay at the Nickelodeon Hotel and our trip to Disney World, of course. 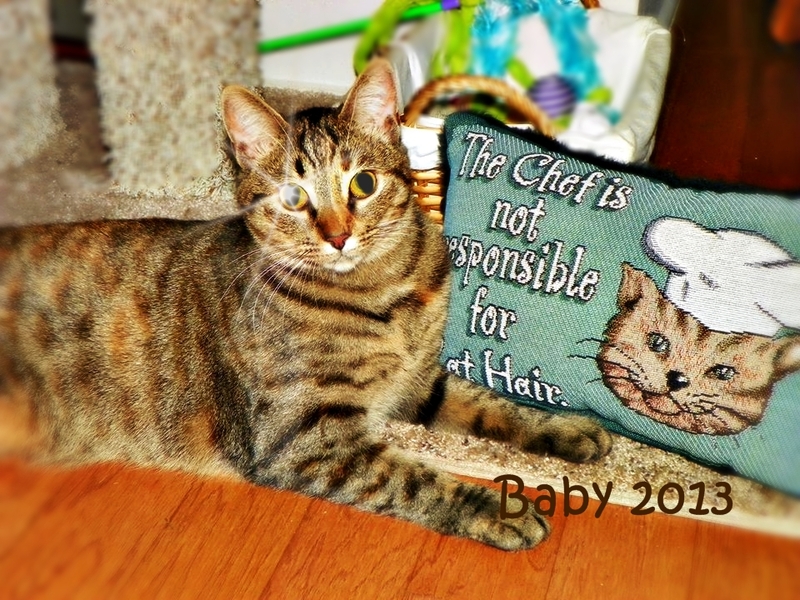 I didn’t make it to the 45th or the 46th Bake-Off. But that’s okay . 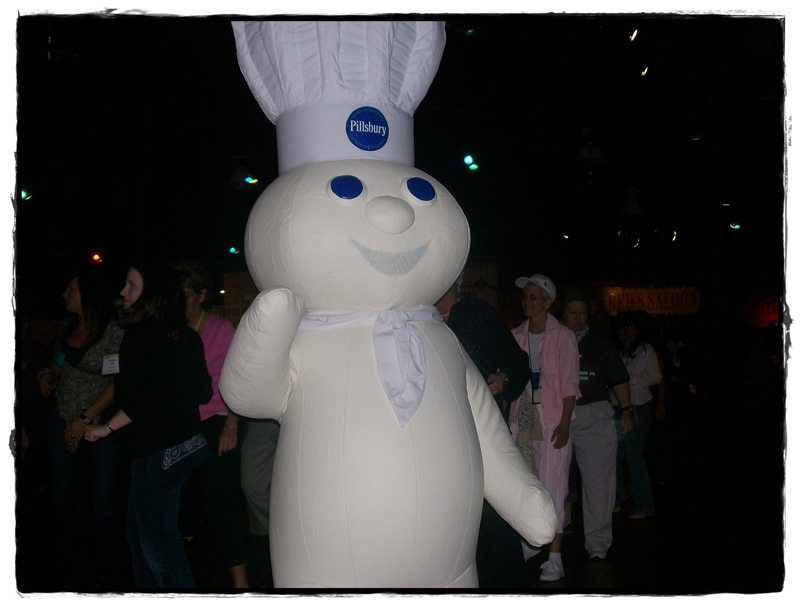 . . a lot of my cooking buddies went and I enjoyed hearing their tales of dancing with the Doughboy. I was especially excited and delighted (but not altogether surprised) when my friend, Tina Virrelli won the Grand Prize at the 45th Bake-Off with her Pumpkin Ravioli with Salted Caramel Whipped Cream! 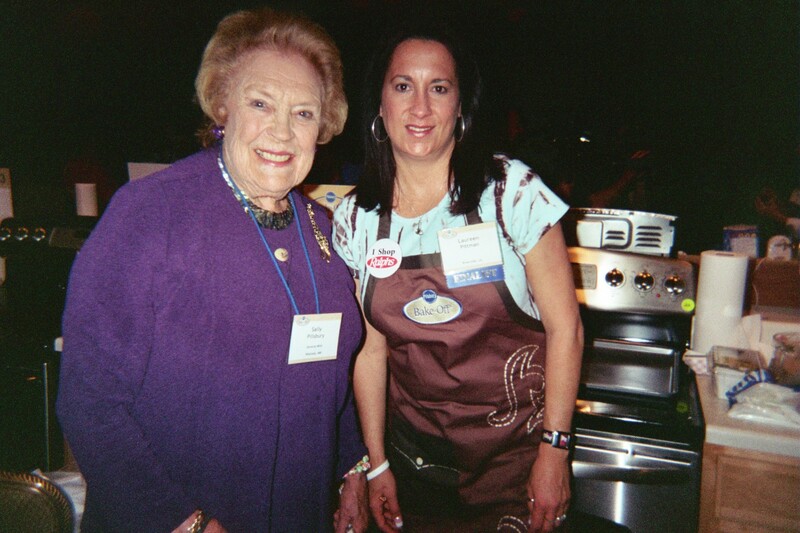 I had met Tina at the 44th Bake-Off in Orlando when we were both competing. For her, the second time was a charm! 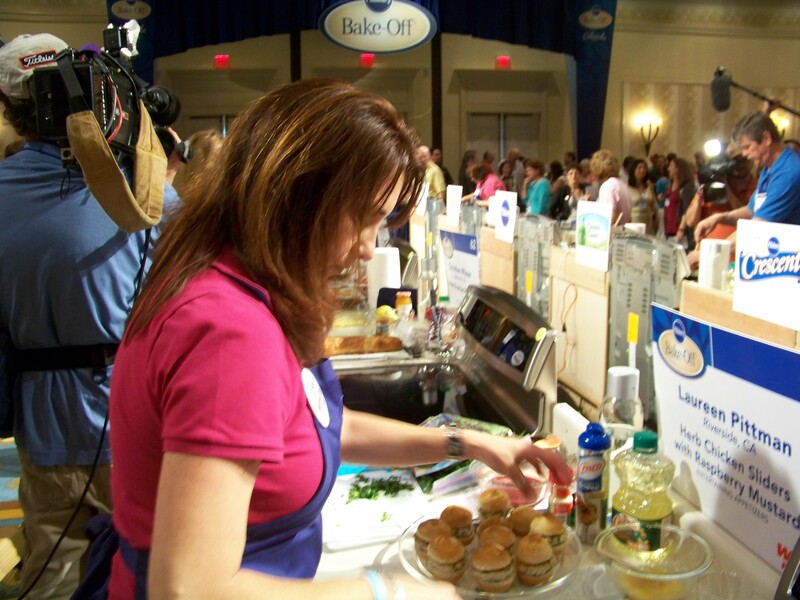 There have been some changes to the Bake-Off since 2010, the most important of which is that General Mills (Pillsbury’s parent company) is hosting the Bake-Off every year, instead of every other year. They’re giving away the same million dollar prize every year! More chances to dance with the Doughboy! There are some really great recipes this year–competition is definitely going to be tough! But I’m excited to compete with some old friends and I’m looking forward to meeting some new ones. I’ll tweet and post as much as I can from the Bake-Off–in case you want to follow along! I didn’t know Pillsbury were real living people!!! That’s great. Fun to look at the photos of the previous Bake-Offs….remember Garrett and the Spongebob Hotel room?! And hey, I took that photo of you and “Cam”…hilarious day!!!! Good Luck on your third and final journey!! I know! Wasn’t it great to meet Cam? I was actually more excited to meet Mark Kriski–but then I was too nervous to say anything to him when he walked into the green room! Remember??? LOL! I remember seeing your Orlando photos with Garrett! I’m so excited to meet you in Nashville for my first dance with the Doughboy! I know, Lynn! Finally we get to meet! It’s going to be a great time, for sure! I know, Lisa! He won’t be able to go this time. Boo! But I’m so glad he got to experience some time with the Doughboy! That’s so awesome!! Third times a charm right?!? Can’t wait to hear all about it! Best of luck!! Thank you, Natalie! I sure hope 3rd time’s a charm! Great posting, Laureen – good luck at the PBO!